Today on the blog I’ve got an extract from Sarah Pinborough’s masterful thriller, Behind Her Eyes. Much acclaimed all over social media towards the end of 2016, Behind Her Eyes is a beautifully written thriller which gradually winds you in, then smacks you about the chops with one of the most original and surprising endings I’ve ever read. The hashtag on twitter is #WTFthatending – entirely appropriate! Without further ado, here’s a snippet from the chapter four. My face burns. It sounded romantic at four thirty in the afternoon two days ago with the first illicit afternoon Negroni, but now it’s like something from a cheap tragi-romcom. Thirty-four-year-old woman walks into a bar and is sweettalked by the man of her dreams who turns out to be her new boss. Oh God, I want to die from the awfulness of it all. What a mess. I knew Sophie would make me feel better. We are funny together. We laugh. She’s an actress by trade – although we never discuss how she hasn’t worked outside of two TV corpses in years – and, despite her affairs, has been married to a music exec for ever. We met at our NCT classes, and although our lives are very different, we bonded. Seven years on and we’re still drinking wine. That last part isn’t quite true. By the end of the night, I’d had a pretty good idea. The urgent press of his body against mine as we kissed, our heads spinning from gin. The sudden break away. The guilt in his eyes. The apology. I can’t do this. All the tells were there. ‘I really don’t want to think about that. Depressing me further won’t help with my current predicament,’ I say, before drinking more of my wine. I need another cigarette. Adam is tucked up and fast asleep and won’t move until breakfast and school. I can relax. He doesn’t have nightmares. He doesn’t sleepwalk. Thank God for small mercies. Sophie’s got a point though. It’s been a long time since I’ve even flirted with a man, let alone got drunk and kissed one. Her life is different. Always surrounded by new and interesting people. Creative types who live more freely, drink until late, and live like teenagers. Being a single mum in London eking out a living as a psychiatrist’s part-time secretary doesn’t exactly give me a huge number of opportunities to throw caution to the wind and go out every night in the hope of meeting anyone, let alone ‘Mr Right’, and I can’t face Tinder or Match or any of those other sites. I’ve kind of got used to being on my own. Putting all that on hold for a while. A while that is turning into an inadvertent lifestyle choice. 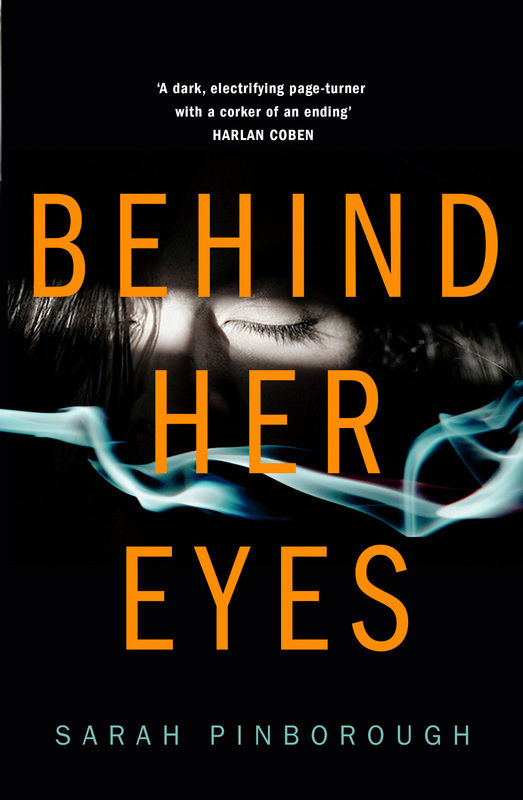 Behind Her Eyes by Sarah Pinborough is out now, published by HarperFiction. 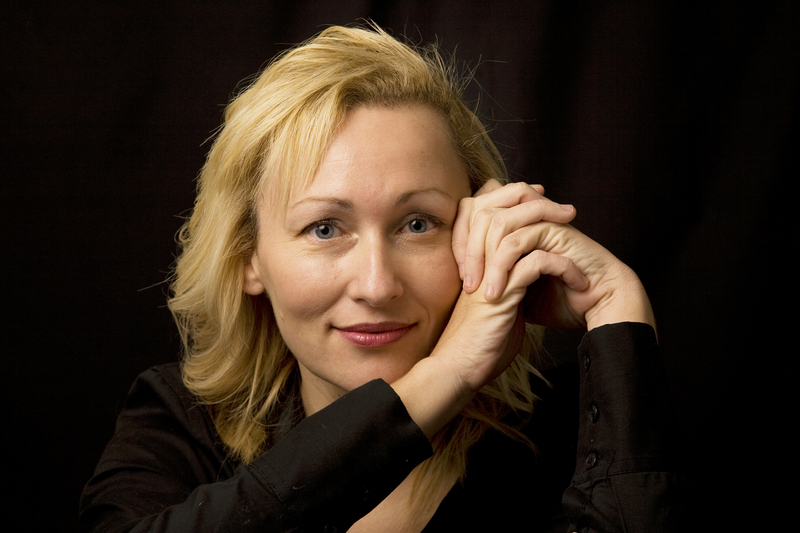 You can find Sarah Pinborough on twitter @sarahpinborough. This title is on my TBR. I’m REALLY looking forward to it.